Biblioteca Università LIUC Economia Giurisprudenza Ingegneria Welcome to the Website of LIUC �Mario Rostoni� Library! 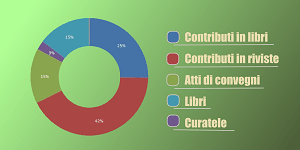 Welcome to the Website of LIUC 'Mario Rostoni' Library! Five laws of library science. Madras, Madras Library Association; London, Blunt, 1957. These pages give you information regarding the opportunities and services provided by this Library. Through our links you may enter our OPAC, with bibliographic references to all our documents. Some of them are in electronic form, and you can read the full texts directly through your PC, others are available to you in paper version or other formats. We are pleased to welcome you as a member of the LIUC community or as an external user. The Library personnel, and in particular our reference services, will be able to help and advise you, in an beautiful space created for studying. Interlibrary loan and document delivery services.